The very first step of every FNG Community Garden Farming Facility is to Assess Community Readiness. Are your members ready to start the comprehensive project planning process? Before taking the first steps, the community needs to assess whether or not it is capable of going through the planning process at this time. Are the necessary people, capacity, and resources available? Community readiness includes support for the process by community and leadership. If your community is ready to go ahead, you may wish to ask Council to endorse the planning process through a Band Council Resolution or similar mechanism. From the beginning, it is important to build understanding and support by sharing information with the community and leadership. If the planning process is postponed, for now, you may want to consider developing a plan of action for getting the people ready for a future time. Funding throughout the planning process is needed. Pre-planning is the time to figure out a budget for the whole process and identify potential sources of funding. What are these funding used for then? They may be needed to support a planning coordinator and trainee, for technical support, for holding community meetings, for writing and copying information updates, or for a variety of other activities that your community project planning committee determines will need financial support during the project planning process. You may wish to draft a Terms of Reference for your planning team. This document summarizes the guiding principles of the planning team including the purpose and scope of the planning process, how you will engage community members, what timeframe you are considering, and roles and responsibilities. Research can help you understand how to make the planning process relevant to your community. Comprehensive community project planning is unique to each situation. Your community may already have plans and research sitting on the shelves from previous projects. The information in these documents will give you and your CCPP team an excellent starting point for your work. Historical records, land use maps, and previously identified goals and priorities all feed into the CCPP process. Based on information discovered during the research step, the project planning team will outline a comprehensive planning process for the community project. Pre-planning is the time to assess whether the community is ready to start planning, inform the people and its leaders about the planning process, gain their support and prepare the groundwork for an open, inclusive and efficient planning process. By the end of the pre-planning stage, you will have a planning team and coordinator in place, a work plan to guide the planning process, and strategies to keep the community well-informed and actively engaged in the planning process. The planning process is community-driven and benefits from a variety of perspectives. Any community member can initiate a pre-plan program, but works best if developed and supported by the majority of the people and its leaders. Encourage all members of the community to participate including Elders, youth, family heads, nation administration, chiefs and councillors as well as all community members. Each brings a unique point of view to the planning process, and their involvement ensures the consideration of each member’s needs. Sharing information is a critical component of the pre-planning stage. People are more supportive of an idea or concept if they understand what it is proposing. Inform the general community, as well as Chief and Council, about the purpose of the planning process, its outcomes, and its steps and phases. Keeping the people up to date will help build support for the project and end goal. Share information about the planning model and process, the structure of the planning team, and ways the community can participate in the planning process. Building community support for undertaking a comprehensive community project plan could include generating feedback on the planning process through community surveys and or meetings. FNG has chosen Roto-Gro International, a worldwide leading Canadian Manufacturing Company of new age innovative rotary hydroponics to supply equipment, technology, and service for each of our FNG community projects. First Nation Growers and Roto-Gro International have teamed up to create community capacity building that ensures annual, ongoing Indoor Fresh Foods Garden Farming Co-op successes regardless of geographical locations, worldwide. First Nation Growers and Roto-Gro International take pride in ensuring the success of each Indigenous project through our shared, dedicated pre-care and after-care garden market farming programs. Roto-Gro International and First Nation Growers have a unique working relationship that includes a shared innovative, vision for global indoor, rotary hydroponic farming that produces nutritiously rich natural, fresh produce, vegetables and fruits that all peoples can afford, year-round. First Nation Grower and Roto-Gro International share the same goal in supporting Indigenous communities across Canada and throughout the world in providing each community with a unique and financially viable opportunity to feed populations from within their communities, in a year-round, 4seasons self-supporting, self-managed operation, regardless of cold or hot climate conditions. Roto-Gro International is an innovative Canadian Manufacturing Company that has become a global, fresh food, an indoor agricultural industry leader in rotary hydroponic farming. They are allocating a dedicated Corporate Support Division to work alongside First Nation Growers to advance indoor Agricultural Farming expertise, training, education, know-how, and experience to Indigenous First Nation and Inuit community growing operations. They will provide ongoing project annual support and consulting services through their own enhanced and innovative indoor agricultural farming industry tools and technologies. These include worldwide 24/7/365 Network Analysis, Growth and Historical Recording and Monitoring Services to ensure the long-term successes of every FNG Community Fresh Foods Garden Farming Co-op Project, regardless of geographical location. As partners, First Nation Growers will prepare each Indigenous community and project operations personnel with significant ongoing community capacity building through industry pre-care and after-care training and development programs. These include the strengthening of indoor agricultural skills, abilities, instincts, processes, and resources that Indigenous Communities and their members need to survive, adapt, and thrive in our fast and always changing the world today. Our Community Garden Farming Co-op’s will produce essential, nutritionally rich organic food streams geared towards First Nation and Inuit peoples’ better health, future well-being and preserve Indigenous family incomes, from within their Anishinabek communities for 7 Generations. Project Pre-Care & After-Care Programming is a very serious component of every FNG Community Garden Farming Co-op Facility and most important to contributing to the continued successes of each project. Our Pre-Care & After-Care Program also allows our First Nation and or Inuit Community Fresh Foods Garden Farming Co-op growers access to our 365/24/7 fully automated control monitoring system for cold or hot climate, natural, indoor growing, exclusive only to our FNG partnership. All facets of growth environments and production are monitored and recorded throughout each growth cycle, 365 days a year, 7 days a week, 24 hours a day, with built-in alerts when growth parameters are outside of preset configurable settings. You are never alone in monitoring growth or production with an electronic, technical growth chart kept on hand and available for historical reference of each growth cycle for each product of each unit at any given time. Our automated control system monitors every aspect of growth and operation, providing immediate, automatic alerts when growth parameters are outside of pre-configured settings. There is monitoring of cold climate or hot climate indoor room temperatures, humidity, Co2 levels, PH and TDS levels and other garden farm parameters set for water temperatures for each grow unit. This monitoring maintains the highest standard of quality, grow cycle high yields and security. Community Garden Farming Co-op Facility crop cycles are both monitored in-house, and through FNG Head Office Project Monitoring Services to ensure added project continued successes. FNG intends to provide the best possible important, and most easily accessible informative project training, education, and development workshop seminars for each Community Garden Farming Co-op Facility project, creating added value for each community partner grower. A big part of our fresh produce education component will be the combined on-line webinars made available to each community member. We discuss the value of added nutrition to diets, cooking with fresh produce greens and why including healthy eating and foods benefit one today for tomorrow, where raw produce consumption feeds our bodies and the ongoing long-term benefits of good health. Our pre-care & after-care project programming includes employee industry project training, workshop, and education seminar follow-up that will be mandatory to ensure project, customer client, and employee satisfaction, knowledge and continued successes. FIRST NATION GROWERS intends to support the continued success of each of our First Nations and Inuit Community Garden Farming Co-op Facility partner communities by providing pre-startup and semi-annual Head Office Facility visits that include essential informative training and industry education workshop seminars. Each employee and manager, as an integral component of our continued support for the ongoing successes of each, community growing project will be privy to quick and easy accessible industry education, knowledge, and growing understanding through innovative training, and staff development and education workshop seminars, both on-site and online. 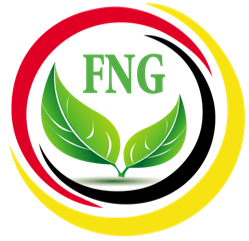 FNG has a unique wholesale business relationship with national, industry supplier and distributor, Homegrown Hydroponics, an experienced Canadian industry leader with hydroponic supplies and distributing networks operating worldwide that we pass along to each community grow partner. FNG also has a standing working agreement with John’s Fruits, a North American Fresh Produce, Natural Foods and Fruit industry distributor leader providing fresh foods. John’s Fruits will purchase all produce not used locally at wholesale prices and sell back items not grown in-house also at wholesale prices. We pride ourselves in the ongoing successes of each community Fresh Foods Garden Farm project by delivering additional year-round, 24/7, one-on-one advanced support for each location and their personnel. FNG offers advanced pre-opening technical, plant, operation and facility training. This support includes growth education workshop seminars as well as automated and on-line help to ensure the success of each community project. This system will serve the needs of each community and or include several other area communities with one financially viable, sustainable, commercial Fresh Foods Garden Farm Co-op Facility. This facility is an Indigenous opportunity that is long overdue providing Indigenous Communities with one economically viable, sustainable, profitable, Community Garden Farming Co-op Facility that can service your people from within to ensure continued successes. Creating an FNG Community Garden Farm Co-op facility is an intricate and detailed process. Many various components must come together to build a smoothly operating and long-lasting building and facility. FNG and its project development team, Wiidookaw, follow a detailed and comprehensive process to ensure that from inception the planning of each facility is complete, clear and entirely documented through detailed construction design drawings. Are there issues that may make specific materials or methods of construction inefficient or wasteful of limited resources? Once the development team has created this “napkin sketch” we start to define our space and what needs to be in our building, including what types of construction will work to meet the requirements of the preliminary plan. At this point, we take back all of the information we have gathered such as comments, revisions, feedback and create a 30% complete set of construction drawings. These drawings contain many of the details, shapes, and sizes of the end facility, but still, lack sufficient information to allow construction to proceed. These drawings are taken back to the project table to be reviewed, commented on and critiqued. At this stage, we have an excellent idea of the final shape of our facility, but we still need to finalize the last vital items to allow us to create final construction drawings. We incorporate the comments and information from all the previous stages into our drawings and produce a 60% complete set of blueprints. These drawings are fully dimensioned, with general notes and critical details incorporated. All construction methods and materials used in the final facility have been selected and included in these drawings. Once again, we take these drawings back to the project team and vet one last time. Created now are the final set of 90% documents. Like the previous stage, these drawings contain all the necessary dimensions required to build the facility. They also provide all prior stage materials and methods. This stage is the final time the drawings are taken back to the project team for final vetting. During this stage, we ask all project participants to make last comments and give final approvals to the design. Once all of these stages are complete, the Project Development team takes these drawings and completes a final review of all blueprints. We also conclude a last coordination review of the drawings and ensure that lines, dimensions, and sizes are fully coordinated to ensure that our facility is ready to be built. FNG and Wiidookaw believe that this process, fully coordinated and comprehensive as it is, is the best way to ensure that the project drawings and documents are sufficient to allow the smooth and efficient construction of each & every facility. FNG begins each project by consulting continually with our clients. We ensure that we understand not just the surface needs which make our product so valuable for our First Nation and Inuit partners; we also take a hard look at the community and location as a whole. This philosophy allows us to understand the unique challenges that each project and community face. We then begin the development process by attempting to address each problem facing a particular projects successful delivery. Assessing each project as a distinct opportunity. Bringing custom personalized solutions to bear on these different opportunities. Ensuring that, where possible First Nation companies are engaged in all aspects of the delivery of the facility. Project Conceptual stage (First Nation Architects or those willing to further First Nation skill development). Needs assessment stage (First Nation ground truthing companies and individuals). Project Planning stage (First Nation Architects or those willing to further First Nation skill development and significant First Nation Trade Contractors). Research and development stage (First Nation Architects or those willing to advance First Nation skill development). Design development (First Nation Architects or those willing to further First Nation skill development). Construction (engagement of local or non-local First Nation Trade Contractors, Sub-Contractors, local skilled and unskilled labour forces, and bolstering and developing First Nation Entrepreneurs). Commissioning (engagement of local or non-local First Nation Trade Contractors, Sub-Contractors, local skilled and unskilled labour forces, and bolstering and developing First Nation Entrepreneurs). Engaging new and emerging technologies, to bring efficient and economical solutions to each project. Applying past experiences and knowledge to projects were appropriate and effective. Networking and connecting with Expertise throughout the industry to assist in solving project and general problems with new age solutions. Each FNG facility takes all aspects of community needs, resources, and skills planned and assessed into account in the project process. Not only do we analyze the right needs of our facilities such as food production and supply needs to support that production. We also review our First Nations and Inuit partner’s existing infrastructure and resources to assist us in ensuring that our production can avoid drawing on already scarce resources such as power and water. Finally, in our review of our client’s funds, we can assist in bringing new technology and innovation to bear in expanding our First Nations/Inuit resources to help ensure a truly sustainable and long-term partnership. Finally, each project and each community we partner with becomes an integral part of our FNG Network. We remain in touch; we make ourselves available and ensure that we stay a valued asset to our partners through our pre-care-after-care program. We continually seek opportunity for all of our partners to expand their successes and allow them to become a catalyst for success in their neighboring communities. FNG and Wiidookaw believe that each successful project partnership becomes a thread in the tapestry of our story.